In her southern California studio, Sylvi creates this wonderfully sculptural cuff watch using a technique that she devised herself to dye and shape aluminum. This statement piece features a black bezel and dial and zig-zag hands with complementing spiral details along the cuff. 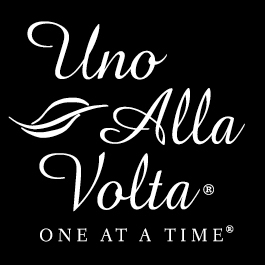 Each cuff watch, a limited edition of 100, is masterfully handcrafted exclusively for Uno Alla Volta, from the heart and hands of the artisan. No two will be exactly alike. Each watch, measures approx. 2.25in. wide and is adjustable.